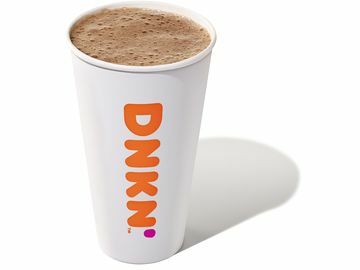 Here at Dunkin’, Hot Chocolate is a four-season beverage. Summer or winter, morning or night, hot chocolate is always a great choice. The best part about this classic beverage is there are tons of ways to make it unique and fun. 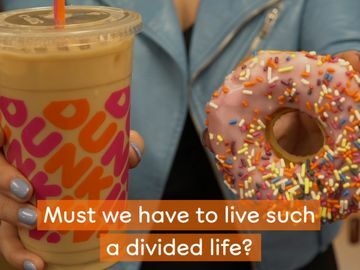 Byron Talbott, professional Chef, total foodie and YouTube sensation, has done just that and created a completely awesome and delicious way for you to enjoy Dunkin’ Hot Chocolate at home! Byron’s recipe combine’s two tasty treats to make his Mini Hot Chocolate Cookie Cups: chocolate chip cookies and Dunkin’ Donuts Hot Chocolate. His recipe is perfect to surprise your friends or family with, and they look impressive and taste just as great! Just look at those swirls of chocolate wrapped inside layers of cookie and tell me your mouth isn’t watering. 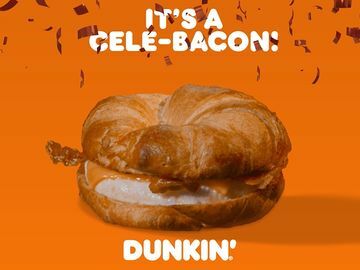 Combine that with Dunkin’ Donuts Hot Chocolate and it doesn’t get any better! 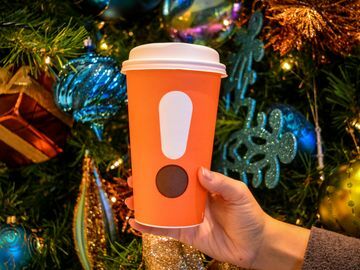 Byron’s creative cups pair perfectly with any of our Hot Chocolate flavors. Whether you’re into our delicious Original Hot Chocolate, our refreshing Mint flavor, or you like to have the best of both worlds with our Dunkaccino, these cookie cups will take your Dunkin’ Hot Chocolate experience to the next level. And you can eat the cup once you’re finished! That’s a win-win in our book. 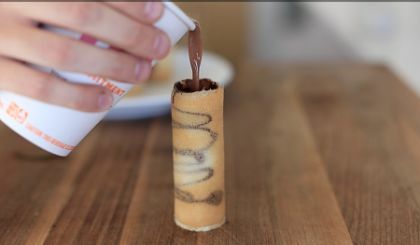 Check out Byron’s video to learn how to recreate his cool creation, and show us your own Mini Hot Chocolate Cookie Cups on Facebook, Twitter or Instagram! Happy baking!